Organizations need to clearly know their customers, the products they sell and the vendors they work with, in order to meet market pressures, regulatory mandates and growth objectives. 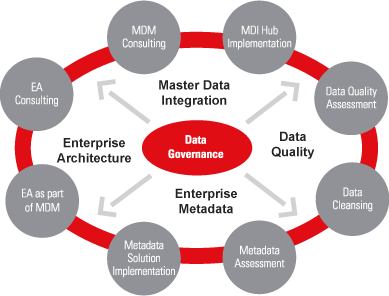 However in most organizations, the master data around these entities is plagued by challenges. It could range from no reliable sources of master data for reporting, data being stored in department or LOB specific appliances/databases resulting in fractured information about customer, products or vendors, to uncertain ownership or accountability for poor quality data.